Plants evolved in the presence of microbes, and key functions for the success of these organisms on Earth are attributed to symbionts as source of origin. Therefore, it is not surprising that plants can establish intimate interactions with mutualistic microbes. Beneficial microbial traits might be selected by the host plants to improve their own fitness, and some of these beneficial microbes might even be vertically transmitted via seeds over plant generations, as persistent microbes. However, some seed-borne microbes might be transient and originated from horizontal transmission. 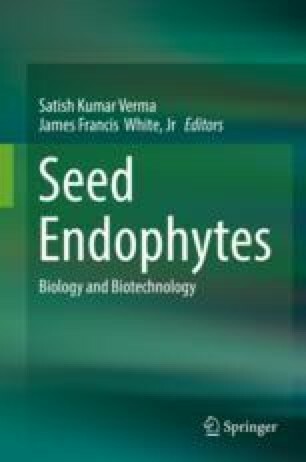 In this study, I summarize the results from the literature regarding the diversity of seed-inhabiting microbes, how environmental and host factors might affect seed microbial assembly and structure, and the putative mutualistic functions of microbes might have during seedling establishment. Because deterministic (i.e., niche theory) and stochastic (i.e., neutral theory) processes are likely to contribute to seed microbiota assembly and structure, seed microbial ecology represents an exciting model to investigate fundamental aspects of ecology.